For female cats, spaying ‘ovario-hysterectomy’ surgery involves the surgical removal (‐ectomy) of the ovaries (ovario) and the uterus (hyster) as a sterile procedure, under general anesthetic. 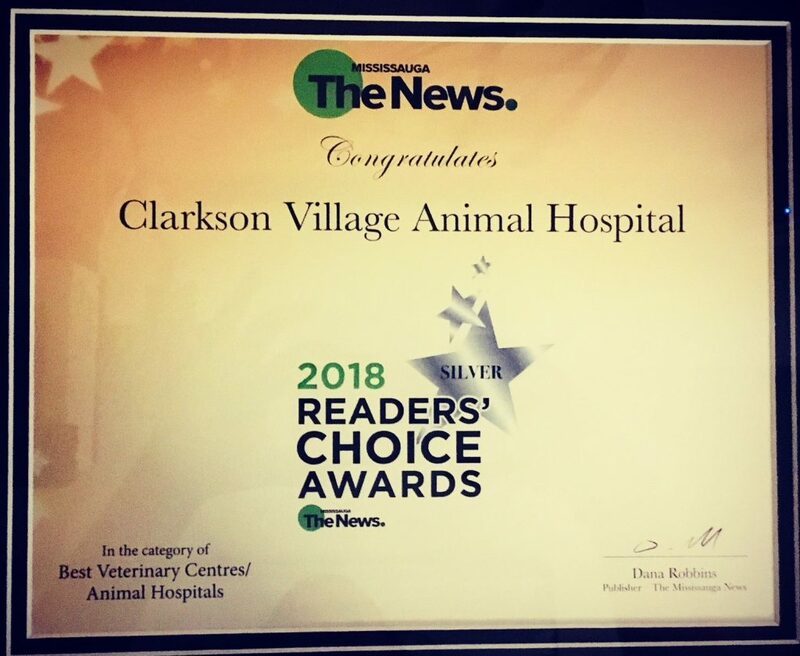 The surgery is only performed by a licensed, experienced veterinary surgeon here at the Clarkson Village Animal Hospital. This is the same surgery as would be done on a person, under very similar surgical conditions and anesthetic. What are the advantages of spaying my cat? Prevents your cat from going into heat or estrus; during “heat,” she may display unusual behaviour such as loud and persistent crying, as well as frequent rubbing and rolling on the floor. When in heat, the female experiences an urge to escape in order to find a mate; this urge is eliminated – thereby reducing roaming and keeping your cat safer. Helps to prevent breast cancer. A female cat spayed before her first heat cycle (about six months of age) will be less likely to develop mammary cancer when compared to an un‐spayed cat. The majority of cats who develop breast cancer have not been spayed, and over 80% of their tumours become malignant. Prevents disease exposure, severe infections, and abscesses, which would require surgical repair. While looking for a mate, your cat would come into contact with other cats. Cat bites can transmit diseases causing AIDS‐like syndromes and Feline Leukemia Virus. No risk of pregnancy, thereby preventing unwanted litters and the needless deaths of kittens and cats. How old should my pet be when she is spayed? The surgery should ideally be performed just before the first heat cycle. We, therefore, recommend spaying at six months of age.